Arthur "Art" Blakey (October 11, 1919 – October 16, 1990), known later as Abdullah Ibn Buhaina, was an American Grammy Award-winning jazz drummer and bandleader. He was a member of the Ahmadiyya Muslim Community.Jazz drummer Art Blakey grew up in a religious family, and he learned to play the piano in church. He gigged in Pittsburg clubs as a pianist, and later switched to the drums. Guided by swing drummer Chick Webb, Blakey developed great skill at the instrument, and he began to make a name for himself while performing with pianist and composer Mary Lou Williams. In 1939, Blakey joined Fletcher Henderson’s band, and later played with bandleader Billy Eckstine. In that group, Blakey had the opportunity to play with Charlie Parker and Dizzy Gillespie. He contributed to the development of the bebop style of drumming, pioneered by drummers Kenny Clarke and Max Roach. By the late 1940s, Blakey was one of the top drummers on the scene, playing with musicians such as Miles Davis and Thelonious Monk. In 1948, Blakey visited West Africa, where he was exposed to Islam and to the polyrhythms in African music. This visit had a profound impact on his life and work. He began to consider himself a Muslim, and took the name Abdullah Ibn Buhaina. He also sought to infuse bebop with a soulful and powerfully rhythmic drive, sewing the seeds of the hard bop style. In 1954, Blakey formed a quintet with pianist Horace Silver, bassist Curly Russel, saxophonist Lou Donaldson, and trumpeter Clifford Brown. They recorded the seminal album Live at Birdland, Vol. 1. This album marked the beginnings of the Jazz Messengers, which Blakey later dubbed his small ensembles. The Jazz Messengers became a pinnacle group of the 1950s and early sixties, and launched the careers of many legendary jazz musicians. Blakey populated the Jazz Messengers with the most talented young musicians. At one time or another, his group included Wayne Shorter, Freddie Hubbard, Lee Morgan, Hank Mobley, and Benny Golson, and decades later, contemporary stars such as Wynton Marsalis, Terence Blanchard, and Kenny Garrett. Playing in Blakey’s group was practically a pre-requisite for becoming a serious jazz musician. Since Blakey didn’t compose very much, band members could hone their composing skills. The Jazz Messengers continued in various forms throughout the decades, through peaks and valleys of critical and commercial success. Wynton Marsalis and the “Young Lions” of the 1980s and ‘90s, adopted Blakey’s emphasis on soulfulness and swing, which paved the way for the modern straight-ahead school of jazz. Art Blakey died of lung cancer in 1990, just after his 71st birthday. To this day, his propulsive drumming style and the body of work he spurred by leading the Jazz Messengers are regarded as two essential elements of jazz history. Earl Bud Powell - Vol. 2-Burning In U.S.A.
Jimmy Smith - The Sermon! Dizzy Reece - Comin' On! Born Dorothy Jeanne Thompson, she grew up around music in Detroit where her father, guitarist Wiley Thompson, often brought home fellow jazz musicians. Even as a young girl, Dorothy would provide support and background to their music by playing the piano. She attended Cass Technical High School where fellow students included such future musical talents and jazz greats as Donald Byrd, Gerald Wilson, and Kenny Burrell. While in high school she played a number of instruments (including the saxophone and string bass) before coming upon the harp. She attended Wayne State University in Detroit where she studied piano and music education. After she graduated, she began playing the piano in the jazz scene in Detroit, though by 1952 she had made the harp her main instrument. At first her fellow jazz musicians were resistant to the idea of adding the harp, which they perceived as an instrument of classical music and also somewhat ethereal in sound, into jazz performances. So Ashby overcame their initial resistance and built up support for the harp as a jazz instrument by organizing free shows and playing at dances and weddings with her trio. She recorded with Richard Davis, Jimmy Cobb, Frank Wess and others in the late 1950s and early 1960s. During the 1960s, she also had her own radio show in Detroit. Ashby's trio, including her husband John Ashby on drums, regularly toured the country, recording albums for several different record labels. She played with Louis Armstrong and Woody Herman, among others. In 1962 Downbeat magazine's annual poll of best jazz performers included Ashby. Extending her range of interests and talents, she also worked with her husband on a theater company, the Ashby Players, which her husband founded in Detroit, and for which Dorothy often wrote the scores. In the late 1960s, the Ashbys gave up touring and settled in California where Dorothy broke into the studio recording system as a harpist through the help of the soul singer Bill Withers, who recommended her to Stevie Wonder. As a result, Dorothy was called upon for a number of studio sessions playing for such popular recording artists as Dionne Warwick, Diana Ross, Earth, Wind & Fire, and Barry Manilow. 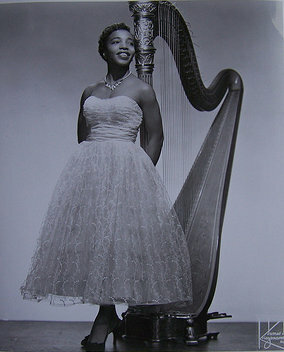 Her harp playing is featured in the song “Come Live With Me' which is on the soundtrack for the 1967 movie, Valley of the Dolls. 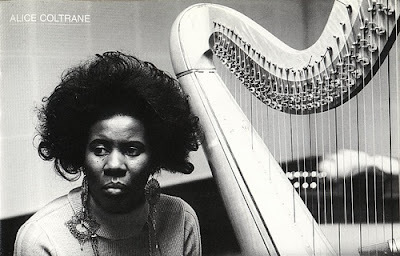 One of her more noteworthy performances in contemporary popular music was playing the harp on the song “If It's Magic” on Stevie Wonder's 1976 album Songs in the Key of Life. She is also featured on Bill Withers' 1974 album, +'Justments. Her albums include The Jazz Harpist, In a Minor Groove, Hip Harp, Fantastic Jazz Harp of Dorothy Ashby with (Junior Mance), Django/Misty, Concerto De Aranjuez, Afro Harping, Dorothy's Harp, The Rubaiyat of Dorothy Ashby, and Music for Beautiful People. Between 1956-1970, she recorded 10 albums for such labels as Savoy, Cadet, Prestige, New Jazz, Argo, Jazzland and Atlantic. On her “Rubaiyat” album, Ashby played the Japanese musical instrument, the koto, demonstrating her talents on another instrument, and successfully integrating it into jazz. The Crusaders were formed in 1960 in Houston, Texas, U.S.A. The Crusaders hail from Houston in Texas. Since 1961, the group (under various names) have released more than forty albums, 19 of which were recorded under the name 'The Jazz Crusaders' (in betweeen 1961 and 1970). In 1954, keyboards player, Joe Sample teamed up with high-school friends, tenor saxophonist Wilton Felder and drummer Stix Hooper to, originally, form the Swingsters. The group first played together in high school before relocating to Los Angeles in the early '60's. As the Swingsters, they were joined by trombonist Wayne Henderson, flautist Hubert Laws, and bassist Henry Wilson and the group became the Modern Jazz Sextet. The group then changed their name to the Jazz Crusaders. 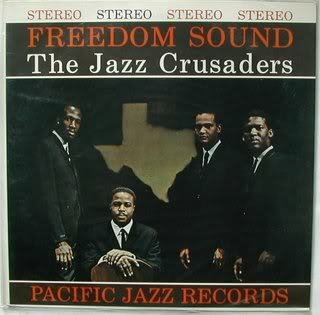 The Jazz Crusaders signed with the Pacific Jazz label, where they remained for a decade, before simplifying their name to the Crusaders in 1971. Their Early Pacific Jazz albums included 'Freedom Sound', 'Lookin Ahead', 'At The Lighthouse' and 'Tough Talk'. The Crusaders first album was entitled 'Pass The Plate' for the Chisa imprint, which was followed by a label change, to Blue Thumb/ABC, and a second album release, confusingly entitled 'Crusaders 1'. In 1972, they released '2nd Crusade', followed by 'Hollywood' (in 1973), 'Unsung Heroes' (in 1973) and 'Scratch' (in 1974). By 1974, they had incorporated the electric bass and electric guitar into their music. Bass guitarist 'Pops' Popwell and guitarist Larry Carlton joined the band, and featured on the group's albums throughout the latter part of the 1970's. They developed a more crossover, jazz-funk style of appeal, and the group's recordings started to appear on the Billboard pop charts. Joe Sample performed various extra curricular performances for many Soul artists, along with some soft Rock artists including Joni Mitchell ('Free Man In Paris'). Further albums, 'Southern Comfort' (in 1974), 'Chain Reaction' (in 1975, including 'I Felt The Love'), and 'Those Southern Knights' (in 1976, including 'Spiral' and 'Keep That Same Old Feeling') were released before Wayne Henderson left the group to pursue solo recordings and production activities. The Crusaders recorded two more ABC albums, 'Free As The Wind' (1977) and 'Images' (1978) before the label merged with MCA. Pops Powell then left the group, and the Crusaders began to introduce vocals into their recordings. The height of the group's commercial success came with 1979's 'Street Life', which peaked at number 18 on the pop album charts, and the title track from the album made the Top 10 on the R & B chart and number 36 on Billboard's Hot 100 chart. The song featured the vocals of Randy Crawford, whose album 'Now We May Begin' the group produced and played on in 1980. Also in 1980 they employed the vocal skills of Bill Withers on 'Soul Shadows' for their new album 'Rhapsody & Blues'. In 1981, 'I'm So Glad I'm Standing Here Today' featuring the vocals of Joe Cocker, reached the U.K. Top 75. In 1982 the Crusaders produced 'Don't Take Your Love To Hollywood' for Kelly Marie. Another founding member, Stix Hooper, left the group in 1983 and three more albums were recorded in the mid-1980's. Stix Hoopper was replaced with drummer Ndugu, and returned with the album 'Ghetto Blaster' in 1984, (including 'Night Ladies' - U.K. Top 75). In the meantime Will and Joe both recorded solo albums. Ndugu performed on a final Crusaders album for MCA, 'The Good And Bad Times', which was released in 1986, and included 'The Way It Goes' featuring Nancy Wilson. In 1988, the group released 'Life In THe Modern World', that featured vocal and writing contributions from Ivan Lins ('Life In The Modern World' and 'Some People Never Learn') and Lamont Dozier ('Let Me Prove Myself Tonight'). In the 1990's, the group, for the most part, had disbanded. Wayne Henderson and Wilton Felder did, however, have a reunion as the Crusaders. In 2003, founding members Joe Sample, Wilton Felder and Stix Hooper revived The Crusaders and released 'Rural Renewal'. Ray Parker Jr. and Eric Clapton played guitar on the album. Also in 2003, a Wayne Henderson-led Jazz Crusaders released 'Soul Axess'. The Jazz Crusaders have released six albums since 1995. Joe Sample is still pursuing a successful solo career, and is recording again with Randy Crawford (two albums in 2006 and 2008 respectively). b. 4th June 1945, Newark, New Jersey, U.S.A.
LeRoy Hutson is an African American instrumentalist, composer, arranger, producer and multi-talented performer. He never achieved a level of success that his talent deserved. Leroy first formed a vocal group in his native New Jersey, but emerged as a soul music talent while attending Howard University in 1970, studying dentistry. There with his room-mate Donny Hathaway, he collaborated on 'The Ghetto', a hit for Donny in early 1970. Born in Newark, New Jersey, U.S.A., LeRoy and Donny also sang in the Mayfield Singers, who released one single for Curtis Mayfield in 1967 called 'Don't Start None' on the Mayfield imprint. As a teenager, LeRoy was a member of The Nu-Tones, a vocal group based in New Jersey. 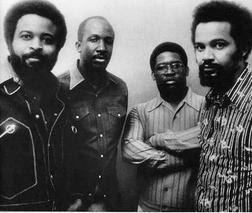 The Nu-Tones comprised of Ronald King, Bernard Ransom, Ed Davis, Irving Jenkins and LeRoy Hutson. Later he teamed up with Deborah Rollins to form Sugar And Spice, recording several singles including 'In Love Forever', 'Ah Ha Yeah' and 'Dreams' in 1968. In 1971, LeRoy replaced Curtis in the Impressions and recorded two albums with the group. 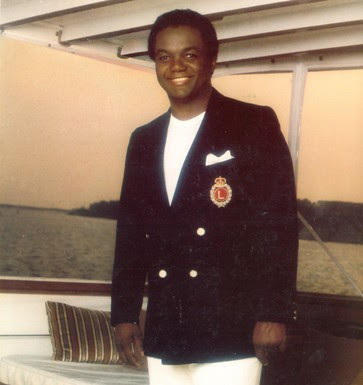 LeRoy began his solo career on Curtom in 1973 and through 1992 established himself with a successful recording career, recording eight albums and charting with some 13 singles in the U.S.A. On most of his work, he wrote, produced, arranged and played multiple instruments. His most successful charting singles were 'All Because Of You' (in 1975), 'Feel The Spirit' (in 1976), 'I Do, I Do' (in 1976), 'Where Did Love Go' (in 1978), and 'Right Or Wrong' (in 1979). When Curtom went out of business in 1980, LeRoy's career was essentially on hold and he soon disappeared from the music world, re-appearing briefly for 'Paradise' (containg 'Nice & Easy') in 1982. He later worked for the U.K. based Expansion Label releasing the 'Shades Of Love' EP (including 'Share Your Love') in 1992. In 2009, LeRoy released the album 'Soothe You, Groove You', which retails from his own website, and was released on his own Triumph imprint. LeRoy is the father of producer JR Hutson. 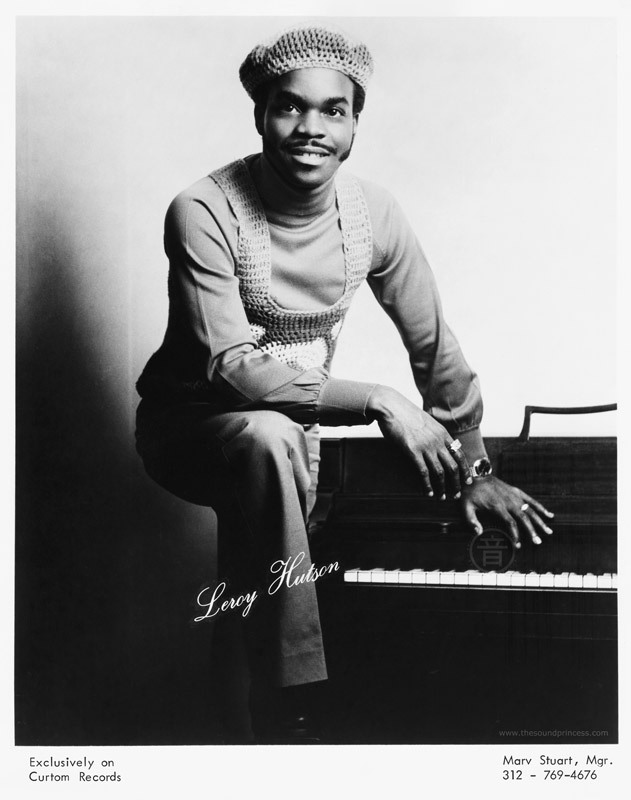 As a writer and producer, LeRoy has worked with Roberta Flack ('Tryin' Times', 'Gone Away'), The Natural Four ('You Bring Out The Best In Me', 'Can This Be Real'), Linda Clifford, Voices of East Harlem ('Cashing In'), Arnold Blair ('Trying To get Next To You'), and Next Movement ('Let's Work It Out'). One of the relatively few artists who emerged in the early '70s to enjoy a run of success with a Southern soul-based sound, this Florida singer recorded her best material for Atlantic in Miami with noted session players like the Memphis Horns and the Dixie Flyers. Putting her earthy pop-soul to ballads and mid-tempo material, much of it written and crafted by producer Dave Crawford, Moore had a half-dozen R&B hits for the label; the biggest, "Precious, Precious" (1970) and "Sweet Charlie Babe" (1973), were also small pop hits. In 1972 and 1973, she cut some tunes in Philadelphia's Sigma Sound Studios with a slicker feel, with generally successful results. There was nothing especially earth-shaking about Moore's style or material, but it was solid stuff with a grittier feel than much of the soul music in vogue at the time. After leaving Atlantic, she had one more sizable R&B hit, "Make Me Feel Like a Woman" (1975). Eunice Kathleen Waymon (February 21, 1933 – April 21, 2003), better known by her stage name Nina Simone , was an American singer, songwriter, pianist, arranger, and civil rights activist widely associated with jazz music. Simone aspired to become a classical pianist while working in a broad range of styles including classical, jazz, blues, folk, R&B, gospel, and pop. Born the sixth child of a preacher's family in North Carolina, Simone aspired to be a concert pianist as a child. Her musical path changed direction after she was denied a scholarship to the prestigious Curtis Institute of Music in Philadelphia, despite a well-received audition. Simone was later told by someone working at Curtis that she was rejected because she was black. She then began playing in a small club in Philadelphia to fund her continuing musical education to become a classical pianist and was required to sing as well. She was approached for a recording by Bethlehem Records, and her rendition of "I Loves You Porgy" became a smash hit in the United States in 1958. Over the length of her career, Simone recorded more than 40 albums, mostly between 1958 — when she made her debut with Little Girl Blue — and 1974. Her musical style arose from a fusion of gospel and pop songs with classical music, in particular with influences from her first inspiration, Johann Sebastian Bach, and accompanied with her expressive jazz-like singing in her characteristic low tenor. She injected as much of her classical background into her music as possible to give it more depth and quality, as she felt that pop music was inferior to classical. Her intuitive grasp on the audience-performer relationship was gained from a unique background of playing piano accompaniment for church revivals and sermons regularly from the early age of six years. Simone was born Eunice Kathleen Waymon in Tryon, North Carolina. The sixth of eight children in a poor family, she began playing piano at age three; the first song she learned was "God Be With You, Till We Meet Again". Demonstrating a talent with the instrument, she performed at her local church, but her concert debut, a classical recital, was given when she was twelve. Simone later claimed that during this performance her parents, who had taken seats in the front row, were forced to move to the back of the hall to make way for white people. Simone said she refused to play until her parents were moved back to the front, and that the incident contributed to her later involvement in the civil rights movement. Simone's mother, Mary Kate Waymon, was a strict Methodist minister and a housemaid. Simone's father, John Divine Waymon, was a handyman who at one time owned a dry cleaning business, but who also suffered bouts of ill health. Mary Kate's employer, hearing of her daughter's talent, provided funds for piano lessons. Subsequently, a local fund was set up to assist in Simone's continued education. With the assistance of this scholarship money she attended high school. After finishing high school, she had studied for an interview with the help of a private tutor to study piano further at the Curtis Institute, but she was rejected. Simone believed that this rejection was related directly to her race. Simone then moved to New York City, where she studied at the Juilliard School of Music. To fund her private lessons, Simone performed at the Midtown Bar & Grill on Pacific Avenue in Atlantic City, whose owner insisted that she sing as well as play the piano. In 1954 she adopted the stage name Nina Simone. "Nina" (from niña, meaning 'little girl' in Spanish) was a nickname a boyfriend had given to her, and "Simone" was taken from the French actress Simone Signoret, whom she had seen in the movie Casque d'or. Simone's mixture of jazz, blues, and classical music in her performances at the bar earned her a small, but loyal, fan base. In 1958, she befriended and married Don Ross, a beatnik who worked as a fairground barker, but quickly regretted their marriage. After playing in small clubs, in 1958 she recorded a rendition of George Gershwin's "I Loves You Porgy" (from Porgy and Bess), which she learned from a Billie Holiday album and performed as a favor to a friend. It became her only Billboard top 40 success in the United States, and her debut album Little Girl Blue soon followed on Bethlehem Records. Simone missed out on more than $1 million in royalties (mainly because of the successful re-release of My Baby Just Cares for Me during the 1980s) and never benefited financially from the album, because she had sold her rights to it for $3,000. After the success of Little Girl Blue, Simone signed a contract with Colpix Records, and recorded a string of studio and live albums. Colpix relinquished all creative control to her, including the choice of material that would be recorded, in exchange for her signing the contract with them. At this point, Simone only performed pop music to make money to continue her classical music studies, and was indifferent about having a recording contract. She kept this attitude toward the record industry for most of her career. 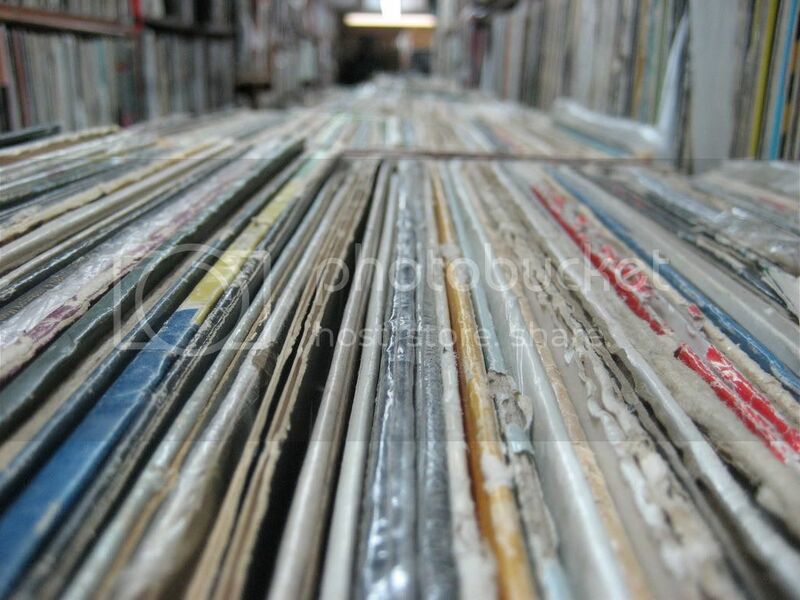 In 1964, she changed record distributors, from the American Colpix to the Dutch Philips, which also meant a change in the contents of her recordings. 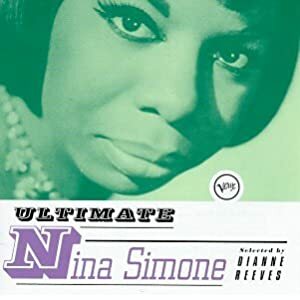 Simone had always included songs in her repertoire that drew upon her African-American origins (such as "Brown Baby" and "Zungo" on Nina at the Village Gate in 1962). On her debut album for Philips, Nina Simone In Concert (live recording, 1964), however, Simone for the first time openly addressed the racial inequality that was prevalent in the United States with the song "Mississippi Goddam", her response to the murder of Medgar Evers and the bombing of a church in Birmingham, Alabama that killed four black children. The song was released as a single, and it was boycotted in certain southern states. "Old Jim Crow", on the same album, addressed the Jim Crow Laws. From then on, a civil rights message was standard in Simone's recording repertoire, becoming a part of her live performances. Simone performed and spoke at many civil rights meetings, such as at the Selma to Montgomery marches.Simone advocated violent revolution during the civil rights period, rather than Martin Luther King's non-violent approach, and she hoped that African Americans could, by armed combat, form a separate state. Nevertheless, she wrote in her autobiography that she and her family regarded all races as equal. She covered Billie Holiday's "Strange Fruit", a song about the lynching of black men in the South, on Pastel Blues (1965). She also sang the W. Cuney poem "Images" on Let It All Out (1966), about the absence of pride she saw among African-American women. Simone wrote "Four Women", a song about four different stereotypes of African-American women, and included the recording on her 1966 album Wild Is the Wind. Simone moved from Philips to RCA Victor during 1967. She sang "Backlash Blues", written by her friend Langston Hughes on her first RCA album, Nina Simone Sings The Blues (1967). On Silk & Soul (1967), she recorded Billy Taylor's "I Wish I Knew How It Would Feel to Be Free" and "Turning Point". The album Nuff Said (1968) contains live recordings from the Westbury Music Fair, April 7, 1968, three days after the murder of Martin Luther King, Jr. She dedicated the whole performance to him and sang "Why? (The King Of Love Is Dead)", a song written by her bass player, Gene Taylor, directly after the news of King's death had reached them. In the summer of 1969 she performed at the Harlem Cultural Festival in Harlem's Mount Morris Park. Together with Weldon Irvine, Simone turned the late Lorraine Hansberry's unfinished play To Be Young, Gifted, and Black into a civil rights song. Hansberry had been a personal friend whom Simone credited with cultivating her social and political consciousness. She performed the song live on the album Black Gold (1970). 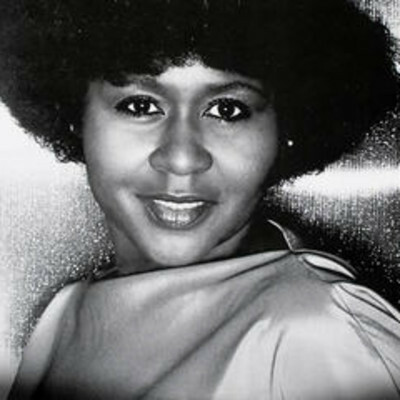 A studio recording was released as a single, and renditions of the song have been recorded by Aretha Franklin (on her 1972 album Young, Gifted and Black) and by Donny Hathaway. Simone left the United States in September 1970, flying to Barbados and expecting Stroud to communicate with her when she had to perform again. However, Stroud interpreted Simone's sudden disappearance, and the fact that she had left behind her wedding ring, as an indication of a desire for a divorce. As her manager, Stroud was in charge of Simone's income. When Simone returned to the United States she learned that a warrant had been issued for her arrest for unpaid taxes (as a protest against her country's involvement with the Vietnam War), causing her to return to Barbados again to evade the authorities and prosecution.Simone stayed in Barbados for quite some time and she had a lengthy affair with the Prime Minister, Errol Barrow. [ A close friend, singer Miriam Makeba, then persuaded her to go to Liberia. After that she lived in Switzerland and the Netherlands, before settling in France during 1992. She recorded her last album for RCA Records, It Is Finished, during 1974. Simone did not make another record until 1978, when she was persuaded to go into the recording studio by CTI Records owner Creed Taylor. The result was the album Baltimore, which, while not a commercial success, did get good reviews and marked a quiet artistic renaissance in Simone's recording output. Her choice of material retained its eclecticism, ranging from spiritual songs to Hall & Oates' "Rich Girl". Four years later Simone recorded Fodder On My Wings on a French label. During the 1980s Simone performed regularly at Ronnie Scott's jazz club in London, where she recorded the album Live at Ronnie Scott's in 1984. Although her early on-stage style could be somewhat haughty and aloof, in later years, Simone particularly seemed to enjoy engaging her audiences sometimes by recounting humorous anecdotes related to her career and music and by soliciting requests. In 1987, the original 1958 recording of "My Baby Just Cares For Me" was used in a commercial for Chanel No. 5 perfume in the United Kingdom. This led to a re-release of the recording, which stormed to number 4 on the UK's NME singles chart, giving her a brief surge in popularity in the UK. Her autobiography, I Put a Spell on You, was published in 1992. She recorded her last album, A Single Woman, in 1993. In 1993, Simone settled near Aix-en-Provence in Southern France. She had suffered from breast cancer for several years before she died in her sleep at her home in Carry-le-Rouet, Bouches-du-Rhône on April 21, 2003. (In addition, Simone received a diagnosis of bipolar disorder in the late 1980s. Her funeral service was attended by singers Miriam Makeba and Patti Labelle, poet Sonia Sanchez, actor Ossie Davis, and hundreds of others. Elton John sent a floral tribute with the message "You were the greatest and I love you". [ Simone's ashes were scattered in several African countries. She left behind a daughter, Lisa Celeste Stroud, an actress and singer, who took the stage name Simone, and has appeared on Broadway in Aida.